CheckFree (USA) - Steve Olsen, Executive VP and Chief Operating Officer, with a budget of $305 million and an IT team of approximately 1000, announces one of the current top initiatives is the implementation of ITIL processes combined with the consolidation of thirteen data centers into three. This article is from ITIL News - Previously and has been viewed 6796 times. This article is from ITIL News - Previously and has been viewed 6195 times. Nigeria: The United Bank of Africa (UBA) announces it is to provide ITIL training to its technology staff, inline with the training provided by other leading banks in America and Europe. This article is from ITIL News - Previously and has been viewed 8277 times. Fox IT and Global Knowledge in the UK have announced a strategic partnership to deliver IT Service Management consultancy and learning solutions. This article is from ITIL News - Previously and has been viewed 6941 times. 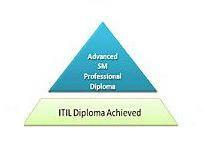 Due for release at the end of November 2007, orders for the ITIL V3 Foundation Study Aid are being taken. If you wish to pre-order your copy of the publication please click here. This article is from ITIL News - Previously and has been viewed 7386 times. This article is from Qualifications - Qualifications Overview and has been viewed 7723 times. This article is from ITIL News - Previously and has been viewed 7379 times. This article is from ITIL News - Previously and has been viewed 6810 times.